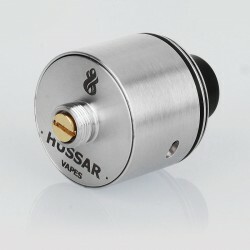 A few days ago we introduce you the SXK Hussar RDTA Clone. This time still the same name,but got a slightly different by have a BF pin. 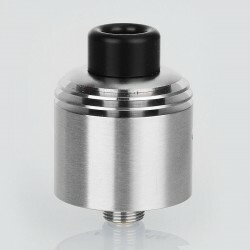 The SXK Hussar RDTA Rebuildable Dripping Tank Atomizer Clone is constructed from 316 stainless steel in 22mm diameter. It comes with heat dissipation design on the top cap. The RDA features a beautiful and functional deck, with one injection hole and two holes for cotton on it. E-juice injection can be quite easy without taking off any lid. 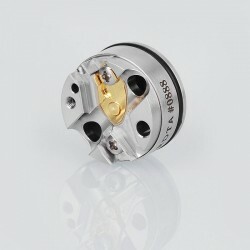 It is designed for single coil building. The RDA also has air holes on the middle side for airflow control. Please Note: This RDTA comes with bottom feeder pin.